Engine rebuilding, repair, and replacement should be left to only experienced and trusted mechanics, as it is a very technical skill. Grimm’s engine repair shop for cars, trucks, RVs, buses, and vans has the necessary experience, tools, training, and equipment to properly repair your vehicle’s engine the first time. 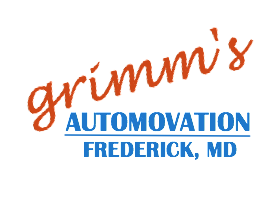 Grimm’s Automovation offers auto, heavy duty truck, RV, and motorcycle engine repair for all of Frederick County and surrounding areas including: Middletown, Thurmont, Brunswick, Urbana, Libertytown, New Market, Mt. Airy, Myersville, Adamstown, Buckeystown, and Urbana.